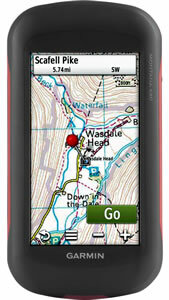 Are you considering which handheld GPS device to buy? The comparison table below compares nine of the very latest Garmin handheld devices including eTrex, Oregon, Montana, GPSMAP and inReach models. The table highlights the main comparison features e.g. screen size, battery life, number of waypoints, whether the unit has a built-in camera, etc to enable you to identify and see the difference between models and manufacturers. The first five Garmin devices (left to right) all feature a touchscreen display, while the final four devices (right to left) all offer touch button control. Touchscreen is ideal in dry conditions. Button control is better suited for more demanding environments e.g. out at sea with spray/rain, in snowy conditions, etc. For further help on deciding the best handheld GPS system to buy for your needs or maybe as a gift for somebody else, please see the product pages or phone 01733 777623 (Mon-Fri 9:30am-5pm) outside of these hours please contact us. Want to compare more Garmin handheld GPS models?